Trucking is essential in meeting the everyday needs of the typical consumer. As eCommerce competition increases, retailers are making promises of faster shipping times and lower shipping costs to gain an edge. This requires companies to reevaluate their supply lines. But this is a good trend for shipping. 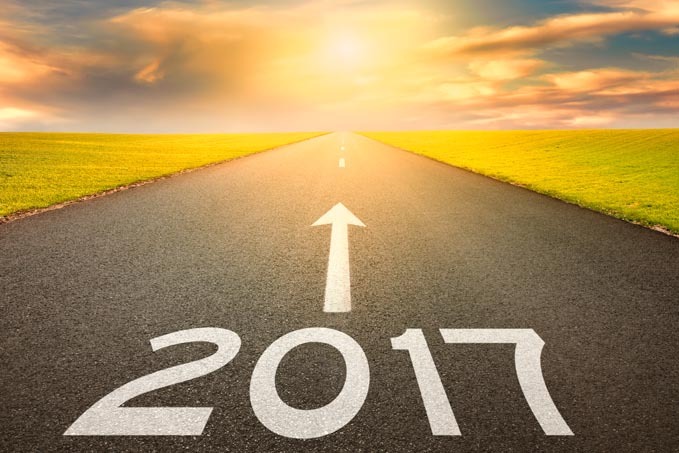 The trucking industry outlook for 2017 is optimistic as the industry is expected to grow by 5.5 percent each year until 2022. The American Trucking Associations forecasts that rail transportation will decline over the same period to only 14.6 percent of tonnage as trucking expands. Analysts expect to follow some interesting and developing trends in 2017 as technology and changing business landscapes play a critical part in the evolution of trucking. But a soft market also means that third-party logistics services are growing. Professional services can supply the visibility and transparency that networked customers want. Shippers want access to real-time information along with consistent standards of service. The Internet of Things (IoT) is connecting more devices, and trucking companies in particular will be affected. Drivers will be more connected than ever with onboard tracking computers, RFID chips in loads, data analysis of routes and fuel use, and more changes to federal and state regulations. The use of efficient inventory and communication technologies will continue rising and producing better solutions as organizations focus on optimizing supply chains and reducing lead times. The Federal Motor Carrier Safety Administration has mandated the use of electronic logging devices. Fleets have until the end of this year to integrate ELDs into their trucks. ABCO Transportation is already fully compliant. Driver shortages remain a top challenge for fleets in 2017. The increasing demand for drivers has left many carriers scrambling for new drivers. Driver shortages make it difficult for carriers to provide adequate service and maintain customer relationships. The trend helps truck drivers by providing more opportunity, job security and compensation. In addition to coping with rising demand for drivers and services and marketplace competition, fleet leaders may have to implement new financial strategies to adjust to the perception of shifting regulatory oversight. However, ATA leaders remain confident. President-elect Trump has emphasized tax reform and developing national infrastructure to boost economic growth, which benefits carriers. ABCO Transportation is a specialist in refrigerated trucking services. Truckload shipping of temperature-sensitive goods is vital to providing healthy consumables. Our fleet of refrigerated trucks can handle shipping needs over local, regional or dedicated runs of any length throughout the United States. Contact us to find out how ABCO Transportation can satisfy your freight needs in 2017.